Barter is the process by which businesses exchange services with each other. Although no money is exchanged, barter is still considered taxable by the IRS. Barter income is taxable to your business in the year in which it is realized (services performed or products sold). The income from bartering activity is recorded in the same way as other forms of income, on the appropriate tax return for your type of business. Although no money is exchanged in the barter transaction, barter is still considered taxable by the IRS. Like other income, barter income can affect your total income tax liability, self-employment tax, excise taxes, state taxes, and employment taxes. 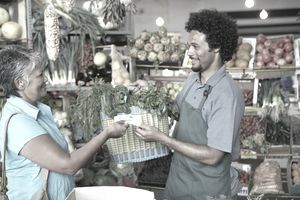 When the IRS says that barter transactions may increase your tax liability, it is telling you that, like other income, it may increase items like self-employment taxes for you as the business owner, and it may result in various kinds of business income (primarily ordinary business income and capital gains income) that is taxable. Barter is considered as income to a business, just like other income. Barter transactions must be reported to the IRS on Form 1099B. If you have received barter income from another business or individual during the year, they are required to submit Form 1099B showing the amount paid to your business through barter transactions. Record the fair market value of the product or service for which you received the income. This form must be submitted to you by mid-February of the following year. Then, you must include the barter income from all sources on your business income tax return, along with all other income. So, barter income is just like other income, from a tax standpoint. With certain "exempt foreign persons." In addition, the IRS exempts transactions "involving corporate members or clients of barter exchange [which] may be reported on an aggregate basis." Form 1099-B looks a lot like other 1099 forms. It must be completed by the business or individual who did the paying, for all barter transactions during the year. For example, if you bartered your cleaning service in a series of exchanges during the year, you must report the value of those services on this form. The other party would complete a 1099-B form showing the value of services or products they gave to you. In some cases, you may need to file a 1099-MISC form for barter exchanges. Check with your tax professional before attempting to complete one of these forms. The expenses related to your barter transactions may be deductible as legitimate business expenses. For example, if you barter consulting services, and you must travel to meet the client, your business travel expense for this transaction is probably deductible. Or, if you paid to register on a barter exchange, the registration may be a business expense. These deductible expenses can reduce your income from the barter transaction. As the IRS notes above, many businesses use a barter exchange to coordinate barter transactions and as a bank to keep track of barter income and expenses between members. If you are a member of a barter exchange, ​you will receive a 1099-B from the exchange, showing the amount of income you received during the year from bartering your products or services. You must report this income on your tax return, in addition to any other barter income you received from individual barter partners. Learn more about barter exchanges from the International Reciprocal Trade Association (IRTA), which also lists member exchanges.